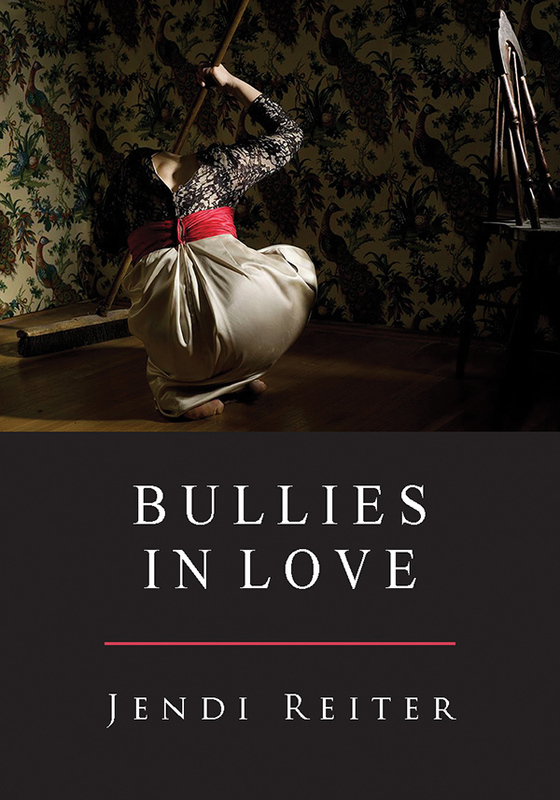 Jendi Reiter and Little Red Tree Publishing are pleased to offer Bullies in Love, Reiter's fourth poetry book and second full-length collection, with illustrations by fine art photographer and Massachusetts Cultural Council award winner Toni Pepe. Bullies in Love is on sale at Little Red Tree and Amazon. Little Red Tree publishes books of poetry, fiction, nonfiction, and art that “delight, entertain, and educate”. Visit their website at littleredtree.com. Jendi Reiter is the author of Barbie at 50 (Cervena Barva Press, 2010), Swallow (Amsterdam Press, 2009), and A Talent for Sadness (Turning Point Books, 2003). Awards include a 2010 Massachusetts Cultural Council Artists' Grant for Poetry, the 2013 Little Red Tree International Poetry Prize, the 2012 Betsy Colquitt Award for Poetry from Descant magazine, the 2011 James Knudsen Editor's Prize in Fiction from Bayou Magazine, the 2011 OSA Enizagam Award for Fiction, the 2010 Anderbo Poetry Prize, and second prize in the 2010 Iowa Review Awards for Fiction. She is the editor of WinningWriters.com, an online resource site for creative writers. Visit her blog at jendireiter.com and follow her on Twitter at @JendiReiter. Toni Pepe teaches at Boston University. She has shown her work at New England Photography Biennial, Art Basel, Photo L.A., the Center for Photography in Woodstock, NY, the University of Notre Dame, and numerous other venues in the US and internationally. Her photographs and installation work address the construction of identity and the performativity of narrative, gender, and memory. Visit her website at tonipepe.com. Please enjoy this poem from Bullies in Love. What Does It Mean When You Dream of the Ocean? Cthulhu's got issues with his mother. Ten thousand years old and he still wets the couch. he's too bored to find another. among slow and nameless things. and every sightline has an edge. describes the Black Goat of the Woods. It must stand for something else. the anti-white, prism of unseeable shades. His suckers stick to the leatherette. their wooden house whose steps tumble down to the docks. Copper and salt singe the air. The sheets are wet and he is hungry.